There is no running away when it comes to world most popular game PUBG. At the Moment PUBG is the most played game in the world. PUBG known as Player Unknown Battleground is a real-time live online game launched by China TENCENT games in the year 2017. The game is all about surviving till the last it starts with an awesome bond spy entry landing with a parachute on the battleground collecting the weapons and using all your strategy to survive till the last to get the Chicken Dinner. And playing a 2GB game on a Smartphone was a bit difficult so the players started looking for the alternative for it like Bluestack and Nox Player. Playing the game on the PC allows the user to use their mouse and keyboard. but none of that alternative worked without a glitch. 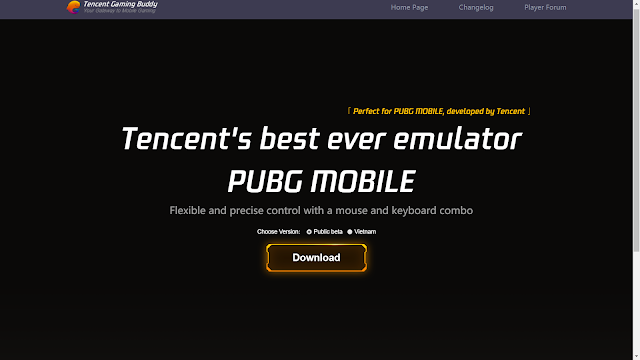 So TENCENT came out with a new solution it launched its own TENCENT EMULATOR. it's still in beta version but overall smooth and lag-free gaming experience. Click on the above image on your PC. Click on the 'Download' button and wait for the download to complete. Run the installer and install it on your PC. Once the installation is complete, hit the 'Start' button.